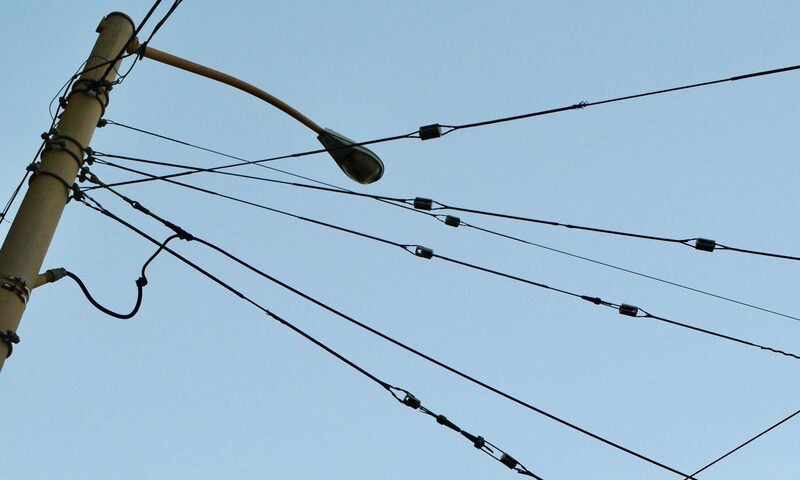 As we study the layers of history along the 24 bus line, we’ve been struck by how lines have been drawn in so many different ways. Lately, we’ve been obsessed with maps created by the Home Owners Loan Corporation (HOLC) in the 1930s and 40s. 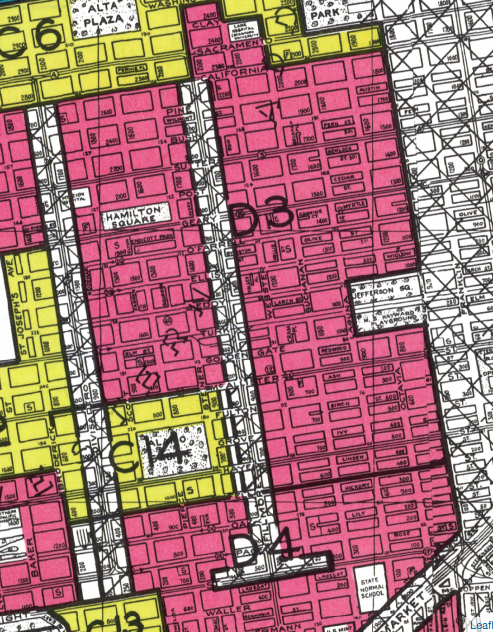 Here you can see how specific blocks in San Francisco were marked in swaths of “hazardous” red. 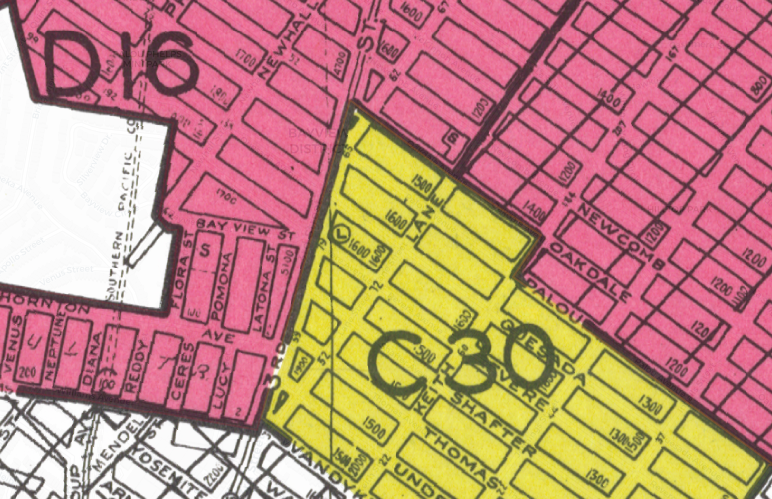 During much of the 20th century, especially in the midst of the post-WWII construction boom, the color-coded labels discouraged banks from offering asset-building mortgages in similar neighborhoods across the US. 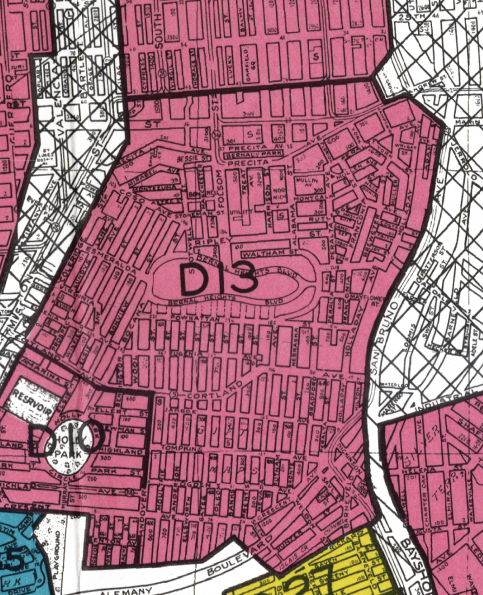 The public was not aware of HOLC’s use of these maps nor their coding criteria until the 1980s, when historian Kenneth T. Jackson uncovered the documents while researching in the National Archives. 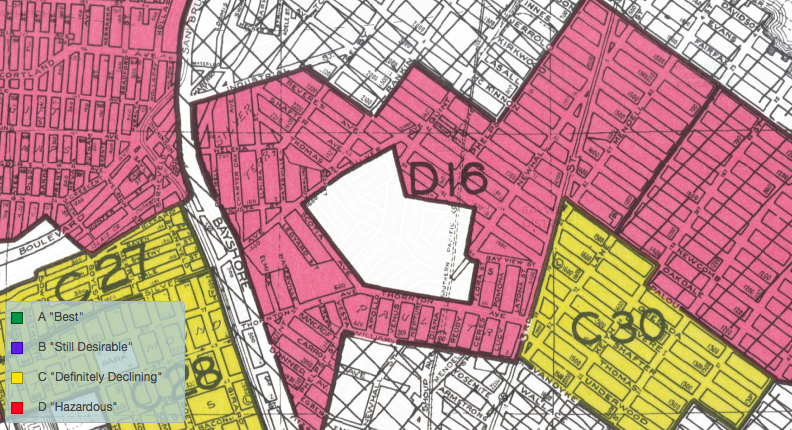 They reveal the long reach of influence that “red-lining” can have on working-class areas, especially African-American and immigrant families. The 24 rolls down the hill from Bernal to Bayview, skirting along what was once Zone D16. Archival HOLC map accessed from Mapping Inequality: American Panorama.